Carved Balustrades for Ripon Cathedral. Elm. These balustrades where made for Ripon Cathedral. 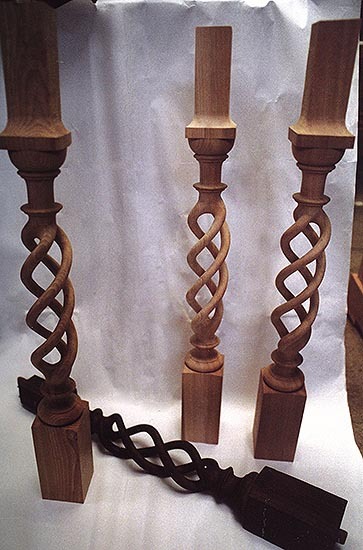 They where carved using a similar method to carving Barley Sugar Twist spindles but you keep carving until you pierce right through. Elm is not the best wood for a carver but it has a high tensile strength making it less vulnerable to splitting. When finished the balustrades had a spring like flex to them.